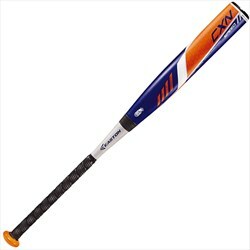 7050 aircraft alloy for fast swing speed ConneXion technology maximizes energy transfer for optimized feel, composite handle with All Sports grip USSSA 115 BPF certified 2¼in barrel. 30/18 -12Easton 2 piece composite handle alloy barrel little league baseball bat! It's a -12 and has the USSSA stamp. It's the speed series! Factory wrapper and ready to hit with! Bat Specs: ' 2 1/4" Barrel ' Approved for Play in Little League, Babe Ruth, Dixie, Pony, AABC and USSSA ' End Loaded Swing.